One of the nation’s foremost authorities on housing recently said that consumer confidence, a slight relaxation in credit requirements, an improving job market, and pent-up demand will drive improvement in the 2015 housing market. Dr. Lawrence Yun, chief economist for the National Association of Realtors, speaking at the Greater Baton Rouge Association of Realtors’ annual TRENDS in Real Estate seminar in Baton Rouge on April 14, said that the national real estate outlook is looking up after two consecutive years of economic improvement since its “near death experience” in the recession, which took hold in 2008 and for most of us, lingered far too long. If you’re a first time home buyer or a downsizer in Delaware who’s been sitting on the sidelines waiting for an opportune time to buy, you’ve probably been looking at the move-in ready homes near Wilmington DE at Darley Green. Now that the recession seems firmly behind us, rest assured there are other buyers with a renewed confidence in their ability to purchase a home they could only dream about until recently. He also commented on the increasing strength of the labor market. Job growth statistics are expected to reflect an uptick of 2.5 million jobs in 2015 to add to similar increases in 2014, allowing the country to get back the 8.8 million jobs lost to the recession. Wages, which have barely kept up with inflation, are also on the rise. Daley Green’s move-in ready condos and townhomes are an affordable luxury right now, but the Fed may likely raise short-term rates due to inflationary pressure causing a projected increase in mortgage rates to slightly below 5% in 2015 and 6% in 2016. It won’t be enough to deter a smart buyer, but buying a home within the master-planned community of Darley Green while interest rates are at historic lows is an added bonus. With your buying power strong, now’s the time to visit Darley Green’s attractively-priced condos in Delaware. Their gracious new construction homes are an affordable maintenance-free living choice for singles, couples, families, and downsizers. The beautiful master-planned community is right in the center of everything that Delaware has to offer including tax free shopping, quick access to the I-95 corridor to New York and Boston, the charms of downtown Wilmington and the Riverfront, and a twenty-minute drive to one of America’s most historic and culturally rich cities, Philadelphia. 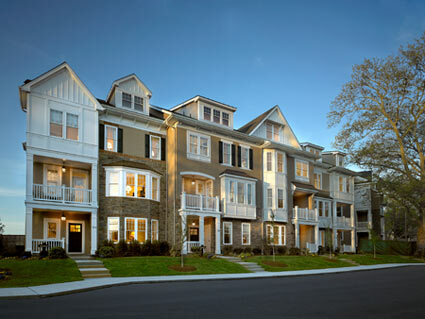 To schedule a home tour of Darley Green, call 302-472-7213 to speak with a representative from Montchanin Builders.